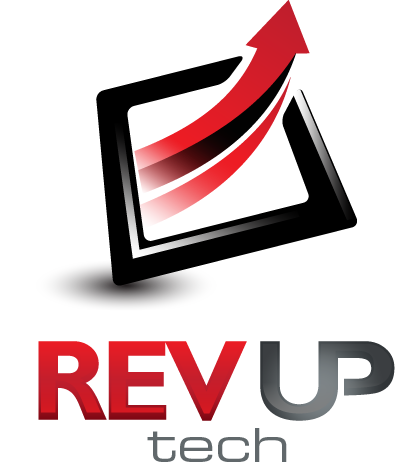 At Rev Up, we create blended and seamlessly integrated eLearning solutions delivering relevant content which educates and engages our clients workforce to provide a “just in time” competitive advantage in their marketplace where, when and how they need it! For over 25 years, Rev Up Transmedia (Formerly Weynand Training International) has been delivering Training and Learning solutions to corporate, educational and government market places. As Founders, award winning editor, prolific author and trainer Diana Weynand and partner Shirley Craig, also an accomplished producer, have collectively written 7 books, created dozens of courses (in traditional classroom environments, via Live Streaming and/or Hosted,) and delivered literally hundreds of customized training programs to a diverse client base throughout North America. As subject matter experts in training delivery methods and styles, we’ve developed programs in a variety of client preferred environments such as Classroom, Asynchronous, Synchronous, Distance, Pedagogical, Linear, Collaborative and more. The past few years however have been disruptive for many sectors, the Training and eLearning industry was no exception. While corporations and institutions first downsized to meet profit, revenue and operational goals, they then began leveraging more progressive measures for delivering value and gaining market differentiation, Rev Up took notice all along and realized a quieter revolution underway. Rev Up Transmedia is proud to be a U.S. based, woman owned technology company! Rev Up is the future of eLearning Workplace Solutions. We deliver secure, scalable and relevant content effectively anytime, anywhere via a cloud platform on any networked and/or mobile device. We can seamlessly integrate and deploy on multiple platforms for on-premise, mobile or community workforce training and eLearning requirements. We’ve created countless self-paced training programs to fit everyone's busy personal and work schedules. We can also delivered them in bit-sized “to go” sizes that adapt to individual learning preferences that evolve and build upon the user's knowledge. This personalized method had been known to greatly reduce learning curves and prevent information overload. Your employees can access learning content when, where and how they prefer whilecontributing or sharing valuable insight socially or virally if desired. "An organizational environment that provides an intensely personalized, social experience to attract develop and engage employees across all generations and geographies," Jeanne C. Meister & Karie Willyer, The 2020 Workshop. Rev Up strives to uphold these core beliefs throughout our technology and blended training programs and solutions that we deliver via Live Streaming, Community or Shared learning, Archived video, Hosting and Administration and Managed Services for Learning Management Systems, Web Conferencing, Chat Rolls and Instant Messaging and other learning tools such as Shared Whiteboards, Application software, Written Workbooks or eBooks and Interactive learning videos. Our corporate clients include industry leading companies in sectors such as Entertainment, Technology, Services and more. 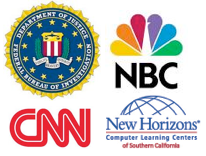 Here is a sample of our clients ABC/Disney, DIRECTV, CBS, NBC Universal, Sony Pictures, SAP, Kodak, Federal Bureau of Investigation, Ripple Training, Bunin/Murray, New Horizons Learning Computer Centers, Melrose Mac, Riverside Community College, Joyce Meyer Ministries, New Bay Media, Mullin TBG - A Prudential Insurance Company, KLTV, Entertainment Tonight, Bunin-Murray Productions, The Tonight Show, The Getty Musuem, and USC. 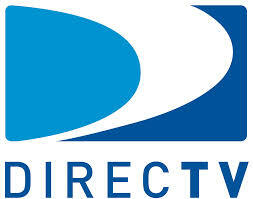 DIRECTV - Who, what, when, where and how! Who: DIRECTV is one of the world's leading providers of satellite television entertainment services delivering a premium television watching experience through state-of-the-art technology, unmatched programming, and industry leading customer service to more than 32 million customers in the U.S. and Latin America. With more than 16,000 employees focusing on delivering industry leading customer services, the need to respond is a key operational priority. What: DIRECTV needed to assure that each of the over 700+ employees who run their broadcast operation centers in California and Colorado has access to the latest, most relevant training and insight to support their day to day job requirements. When: Since DIRECTV is an online provider of digital television entertainment services, their operation is 24 hours a day, 7 days a week, 365 days a year. 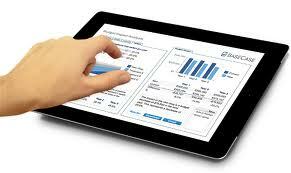 How: Hosted cloud platform with access to course curriculum 24/7 on any networked or mobile device. Why Rev Up Transmedia: Rev Up was engaged by DIRECTV to create a customized and blended eLearning program designed exclusively to fit the requirements of the company and their employees. By visiting with all of the key stakeholders in the organization, Rev Up developed customized entertainment/media industry quality content that satisfied business and employee preferred requirements and methods. The customized solution is delivered, administered and maintained via Rev Up’s hosted Cloud eLearning platform, to DIRECTV staff members to ensure access anytime/anywhere. The course designed for DIRECTV was 27 video modues and accompanying quizzes about video, how it works works and how the fininished programming, e.g. Gray's Anatomy is delivered from the suppliers, like ABC, to the subscribers's set top box at home. Click for sample. And for CNN, we did samples on how to operate the Bgan Satellite-in-a-suitcase and how to operate Apple's Final Cut Pro Editing system.